iPhone Belts? iPhone Flashlights? iPad Concrete? Oh China. China's Proview is taking Apple to court over the iPad moniker. While that looks to be one of Apple's biggest legal headaches in China, it's not its only one: Chinese companies are using patent law right and left to create a whole host of iPhone and iPad products. This is China&apos;s iPad. The One Apple Is Getting Sued Over. These products could ultimately dilute the iPad brand in the Mainland and confuse consumers. According to China Daily, 39 Chinese companies have tried to register "iPhone" and "iPad" trademarks in categories Apple has not. Six of these companies even got preliminary approval. 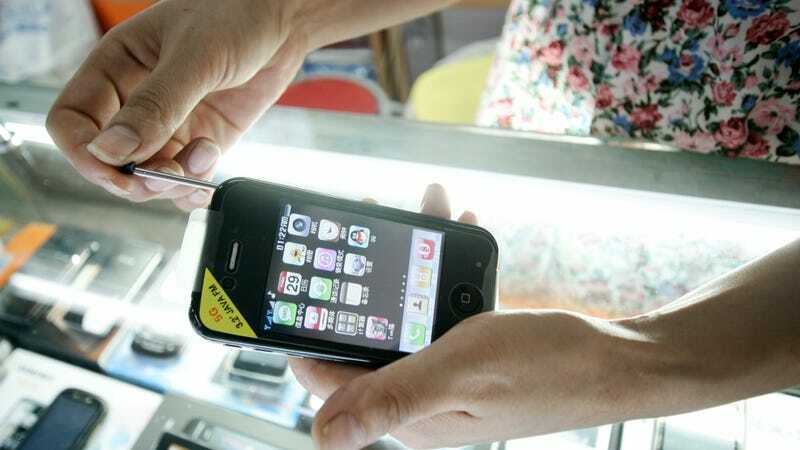 "Apple objected to our application on the last day of the three-month disclosure," said Xu Jie, a lawyer representing flashlight manufacturer Cai Zhiyong. The company is attempting to register the iPhone trademark for flashlights and wants "to share the benefits of iPhone's fame." Another company, a belt and hiking shoe company, also received preliminary approval for iPhone trademark use. The application is now being disputed and pending final approval. A company that makes concrete and floorboards is attempting to secure the iPad trademark for its industry. Apple failed to register trademarks in all of the country's 45 commercial categories—a practice other international companies follow. Apple registered the iPhone in 14 categories, and the iPad in only nine. Don't blame these Chinese companies for trying—blame Apple for not covering itself.